A world where time has no meaning - and evil knows no bounds. Torn from a world long gone, the time traveling warrior Turok has found himself thrust into a savage land torn by conflict. 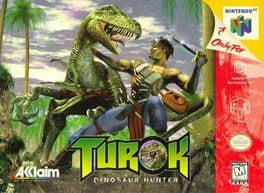 Turok: Dinosaur Hunter is available from 18.19 to 18.19 from 1 shops.